Labor Day H-D Demo Truck Weekend! It's Demo weekend at San Diego Harley! 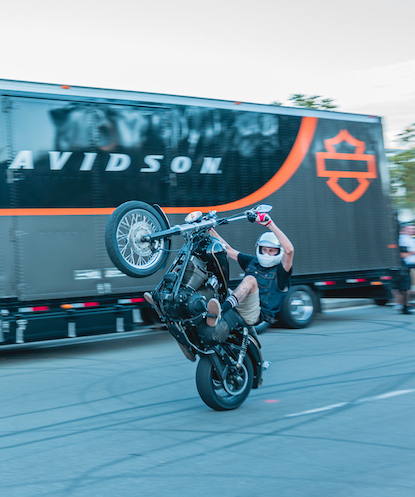 The official Harley-Davidson Demo Truck will be rolling into SDHD FIRST and will be stocked with the new 2020 Harley-Davidson Motorcycles. There will be food, music, drinks and raffles both days! It's all free so join us! Demo riders must be at least 18 years old and have a valid M1 license. DOT approved helmet and appropriate riding clothing required. The Demo Truck Event is from 10am to 4pm on Saturday, August 31st and Sunday, September 1st. We are not reserving specific times, only ensuring everyone who registers before the event has the opportunity to test ride the bikes on the day of their choice. Registration will open on January 15th, 2019. This is always a great event and we thank you for your support of SDHD!